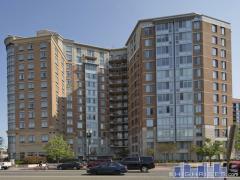 You'll find a large variety of high-rise condominium options in Arlington, and they are all a short commute away from Washington DC. We have listed all the currently available Arlington Condos below - simply choose your price range to narrow your search. If you'd prefer you can also search a specific building in our Arlington Building Directory. Arlington residents can enjoy historic attractions, shops, parks and a variety of community events. Arlington National Cemetery, the Air Force Memorial and Fort Ethan Allen Park are some of Arlington's attractions. History lovers will enjoy visiting Arlington's historic homes. Robert E. Lee's house at Arlington Cemetery was built in at the beginning of the 19th century. The Ball-Sellers House was built in 1750s, and the Hume School was built in 1891. Shopaholics will be able to spend hours browsing through all the stores in The Fashion Centre at Pentagon City, the Ballston Common Mall and the Crystal City Shops. Families can spend the day the Gulf Branch Nature Center, Bluemont Park or Theodore Roosevelt Island. The Arlington County Fair in August has live entertainment, rides and free activities for children. The Arlington Philharmonic offers some free concerts during the year. Arlington restaurants participate in the annual Taste of Arlington street festival. Events at the Village of Shirlington in south Arlington include a Celtic Festival and an Oktoberfest.